Vivienne Tang is one of Deloitte’s 45 new partners promoted from within the firm to mark the beginning of the new financial year, a fresh intake of leaders of which 29% are female. She speaks to Select Employer while attending a new partner conference in Sydney (joining an additional 22 partners hired laterally by the firm over the past 12 months), just days before stepping into the new role on 1 July 2013. While admitting she’s a little nervous about the next career stage, she also knows it’s where she deserves to be and is excited about the opportunity. It’s been a big couple of years for Tang, who gave birth to her first child 15 months ago, took a seven month career break from the firm, initially returned part-time, and successfully completed the challenging process of being appointed partner. She’s made it work with focus and hard work but also with support from family and internal support within Deloitte – including her team, mentors, and counselling partners who have continually encouraged her throughout her career to partnership today. 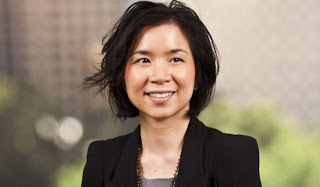 Working in the Governance and Regulatory Consulting team at Deloitte, Tang’s developed her leadership skills as head of the Melbourne team, having specialised in regulatory compliance advisory matters for the banking and asset management industry. She loves her job and enjoys working with the team at Deloitte. ‘It’s a challenging environment for our clients due to the extent and complexity of the regulatory requirements impacting the industry such as FoFA and Stronger Super and the speed in which the industry has to respond to be compliant’ she says. She considers the promotion to partner a privilege. Tang was earmarked for the partnership early, joining the “Pathways to Success” leadership program with Deloitte, which prepares talent for acknowledging what it means to be a partner, and how they can get there. “It’s a very interesting but tough process. You need to demonstrate consistently why you deserve to be there, and have the track record of success,” Tang explains. For Tang, the promotion fills an ambition she’s had since joining the firm, although she notes she’s questioned it from time to time, believing it’s healthy to consider all options when making long-term commitments and plans. Again, Tang says her focus and determination is key. Combined with a great team and good support structures backed her all the way –as well as a strong family support at home. “’Knowing you can do it and have others around you who support you and believe in you gives you the encouragement to take on the next step’,” she says. Tang studied a Bachelor of Accounting at Monash University on a scholarship program. She was drawn to Deloitte at a careers fair, saying she immediately had a “gut feeling” about the firm, and listed it as her first preference for a student placement. After the initial 16-week placement, she received an offer to join as a graduate in late 2002. She’s stayed with the firm ever since, taking on new career and life experiences along the way. To her, it is exciting working for a firm which has a culture that encourages innovation, talent and agility. Tang was one of the 11 Finalists in the 2011 Deloitte Businesswoman of the Year which is part of the Deloitte Inspiring Women’s program. Deloitte was recognised in 2012 as an Employer of Choice for Women for 11th year in the row by the Federal Government’s Equal Opportunity for Women in Workplace Agency (EOWA). And for the first time, Deloitte being a professional services firm has been awarded an Australian International Design AwardTM for its audit services.